Less really can be more. 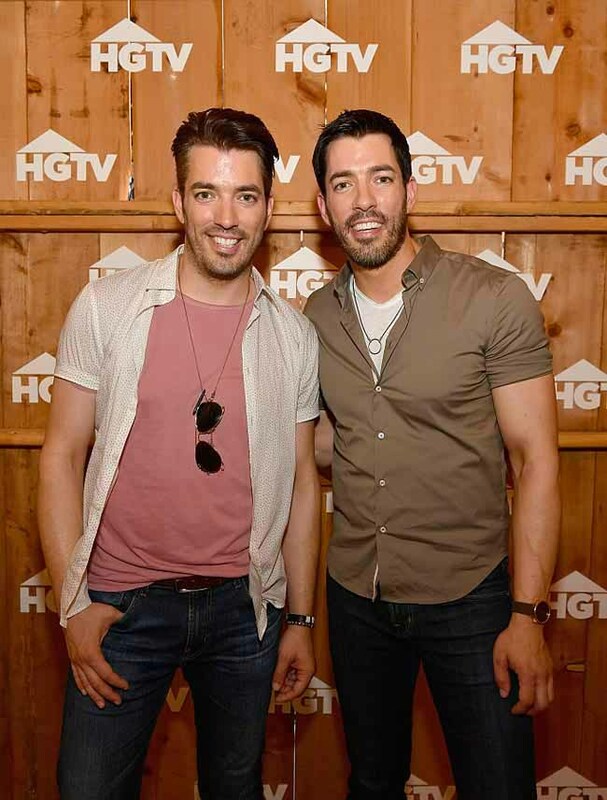 Here, HGTV’s identical twin brothers Drew and Jonathan Scott on how you can downsize without stepping down. 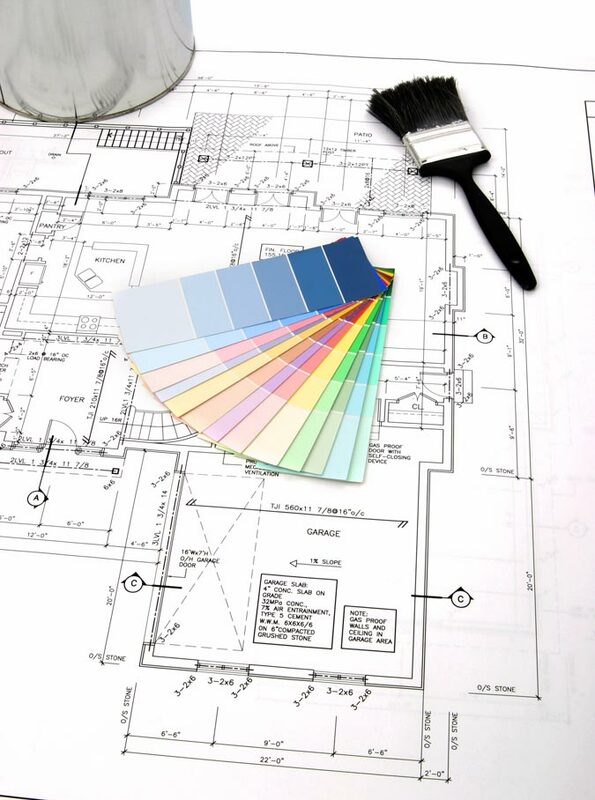 The proliferation of home buying and renovating shows on TV proves I’m not alone in my obsession with seeing how other people live, renovate and decorate at different stages of their lives – just married, expecting babies, up- sizing, adding in-law suites, eventually downsizing. Helping my 80-something parents recently move from their 5,000 square foot home of 30 years to a 500-plus square foot apartment was beyond downsizing – more like miniaturizing. I should have spoken to the Property Brothers first for useful solutions to the challenges we all face when moving, both esthetically and practically. And knowing that 85 per cent of us want to age in place, we need to know what to look for so that dream, too, can become reality. You’ve probably seen identical twin brothers Drew and Jonathan Scott (above) on Property Brothers on the W Network or HGTV, in which they help couples at different times of their lives and with disparate budgets buy fixer-uppers with the help of Drew, the real estate agent, then work with Jonathan as their contractor to make that house their dream home. The success of the series has spawned two more shows – Buying & Selling and Brother vs. Brother. Who better to help with the challenges faced by those downsizing – especially when they are helping their parents do that very thing right now? Editing big furniture down to size is one of the biggest hurdles. Sectional furniture can be pulled apart to provide comfortable seating in a new configuration. Armoires can be converted from bedroom storage into a new home for the stereo and entertainment system. “Most of your furniture may be dated and too large for the new space,” says Drew. “My mom became the queen of Craigslist and Kijiji. She made $15,000 – it was ridiculous.” More than enough to buy that perfect piece to fit your new space. Consider double-duty items – an ottoman that stores winter quilts, a coffee table that opens up to become a desk, a drop-leaf table that serves as a sideboard but opens up to seat eight. My mother was happy to see her oversized bedroom set go to her grandson and his wife, and my sister was ecstatic to take ownership of the dining room furniture, including side-board and china cabinet, which continues to be the setting for Christmas dinners, albeit in a different location. Aging in place is the boomer’s buzz phrase, but aging in the ideal place should really be the goal. When you consider that moving can be as stressful as divorce, you have to know you’ve made the right move. If you’re changing cities or even communities, never feel rushed. Living full-time at the cottage may sound ideal when you’re packing to go back to the city after a month on the lake, but check out what the area is like off-season and decide realistically if you will enjoy the slower pace. According to Jonathan, the biggest mistake is downsizing too far, leaving no room for hobbies or overnight guests. A three-bedroom, two-bathroom home is ideal, but “the minimum is a two-bedroom, allowing space for your hobbies in a room that can be converted for overnight guests.” An ensuite bathroom off the master bedroom allows you a private sanctuary even with out-of-town guests. But maybe you want your new home to retain its role as the hub of the family, the place your grandkids want to visit. One solution is a detached two-storey with a walkout from the basement at the back. “The lower level can be great for the grandkids,” Drew enthuses, “a spe- cial place just for them.” Other overnight guests will welcome an apartment of their own. Even if you can’t offer a separate lower-level apartment to your grandkids and visitors, keep your living space flexible. The room you usually use for painting and your partner for geneology research can double as a room for overnighters. If your current home is where you really want to stay, there are some alterations you can make to help you age in place happily and safely. According to Beth Hirshfeld, president of Thrive by Design (www. thrivebydesign.ca) and an interior designer who specializes in aging-in-place and universal design strategies, everyone uses their space differently, so while there is no blanket answer, she is emphatic that you be aware of your changing needs as time goes by. “There is no one-size-fits-all solution,” Hirshfeld says. But we all face the same challenges as we age, so here are her suggestions to make your home a perfect place to age. Almost all of us will experience a decline in vision. Normal aging brings subtle changes: our pupils become smaller and less responsive to changes in ambient lighting; cells in theretina that respond to colour are less responsive. As a result, we need three to four times more light than we did in our 20s. Adding more lamps or increasing the wattage of existing bulbs can make a huge difference. And don’t forget strategic task lighting for better il-lumination when cooking, reading and for daily routines. Lighting is so important that recent research by Thomas Pocklington Trust found that lighting levels were much lower than recommended in the homes of people with sight loss and that 70 per cent reported bumping into furniture or tripping on stairs. Use of colour can enhance sightlines and help reduce falls, which account for 80 per cent of hospital admissions of people over 65 and often lead to more drastic and unwanted measures such as a move to assisted living. A strong contrast between the colour of the rug and the floor makes it easier to see the edges and avoid stumbling. Think of using contrasting stair run- ners to help reduce the risk of falling. Arrange your furniture to make your home more condusive to entertain-ing. Having guests sit across from one another facilitates hearing and allows guests to see facial expressions. Putting your hearing-impaired father at the head of the table is not honouring him but making it impossible for him to follow the conversation. Hirshfeld insists that modifications made to your home now before they are needed can add to its safety and liveablity, while retro-fittings quickly made in response to a health crisis can be unsightly and institutional.